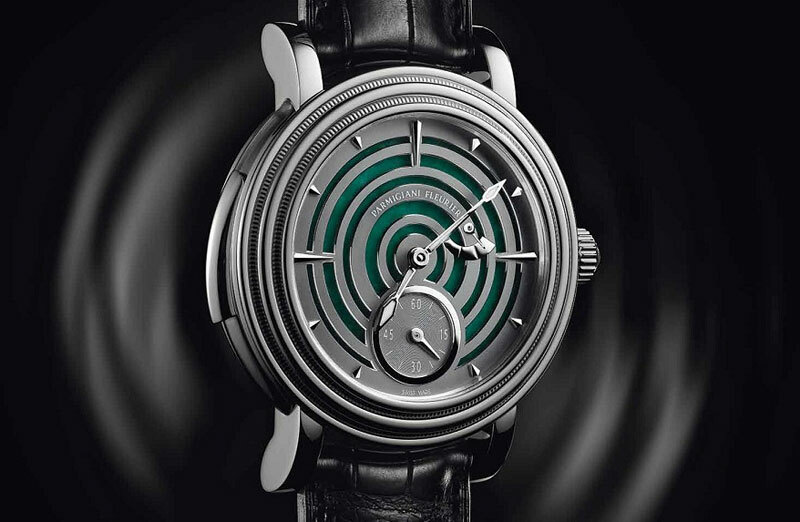 If you are a lover of fine detail and exquisite watchmaking, then you already know all about Parmigiani Fleurier. 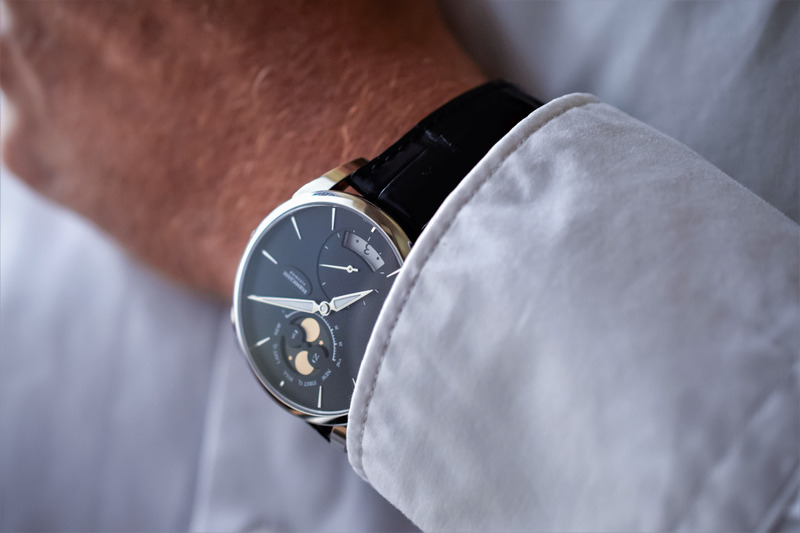 Master watchmaker and clock restorer Michel Parmigiani, whose dream it was to bring classic watchmaking to the forefront with visionary calibres and craftsmanship, conceived this young Swiss watch brand, born just over 20 years ago. Today, the brand continues in this course, regularly unveiling new watches that surprise and delight us. 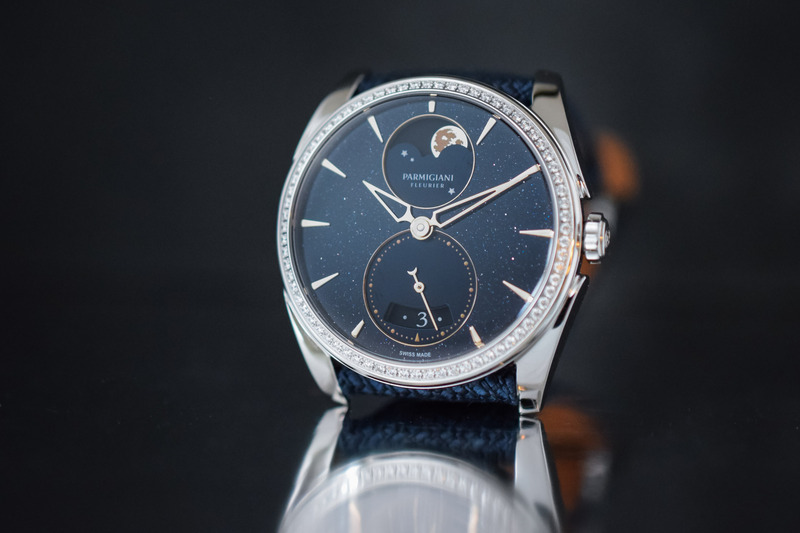 Such is the case with the beautiful new Parmigiani Fleurier Tonda Métropolitaine Sélène Galaxy watch. 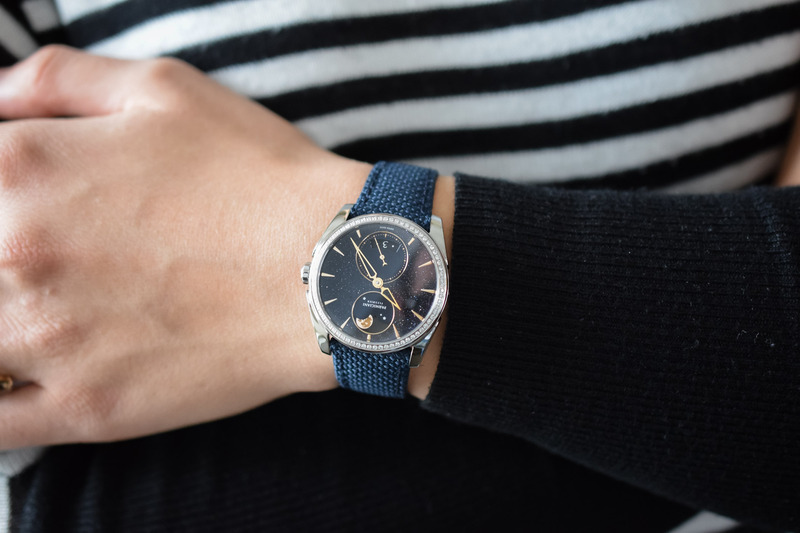 Inspired by the Tonda 1950 watch, this ultra-feminine new timepiece is a rich work of art, with a new dial, a new complication for the brand’s women’s watches, and new case dimensions. 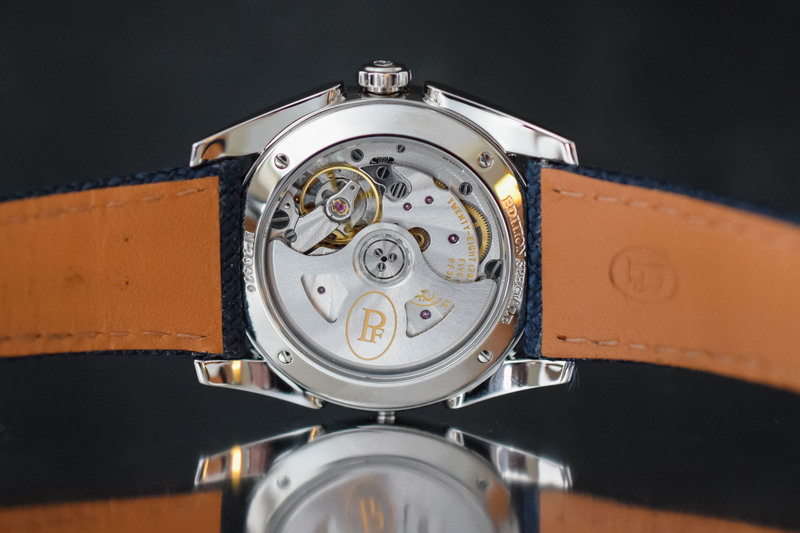 Before we go into the elegance and finesse of this watch, I need to say one thing: it is more beautiful in person than in photos, and the photos are pretty darn great looking. 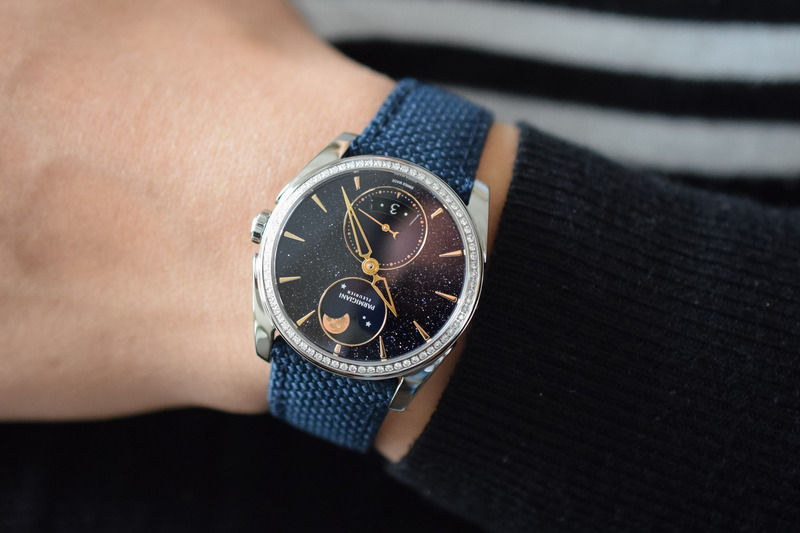 As its name implies, the watch is a spectacular rendering that recalls the night sky filled with a galaxy of stars – thanks to the incredibly alluring midnight blue aventurine dial. By mixing metallic fragments into the glass as it is being made, the aventurine dial offers a host of inclusions that make it shimmer and sparkle like the night sky. 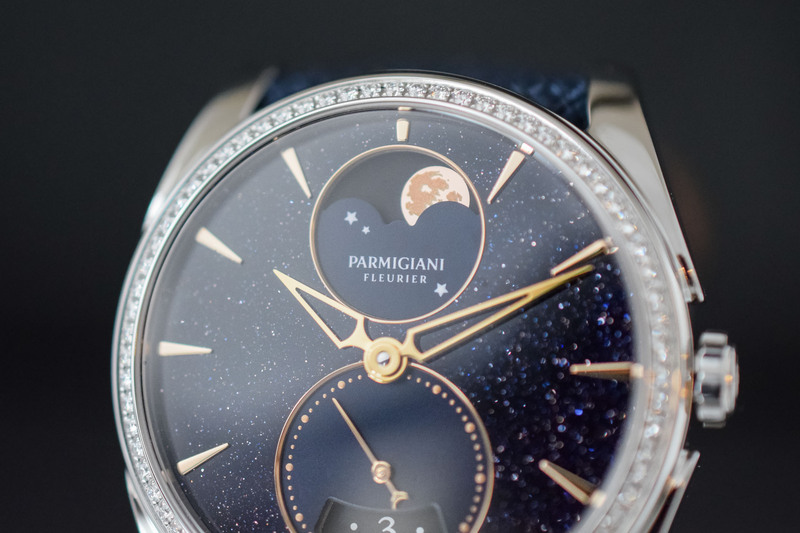 As if the sky were not enough, Parmigiani Fleurier dedicates an oversized sub-dial at 12 o’clock to the moon phase indication. 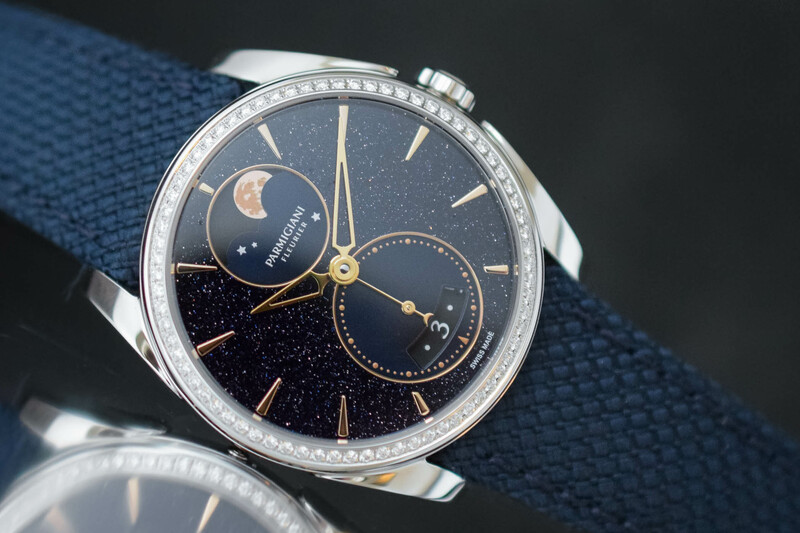 Essentially, the brand utilizes two rose-gold-hued discs to depict the moon, complete with a beautifully detailed rendering of the surface and its craters. The look is achieved via a precise layering of decals on top of the moon disc. With the rose gold, or russet tones of the moon disc, against the dark blue aventurine dial, the watch has a truly rich and inviting appeal. 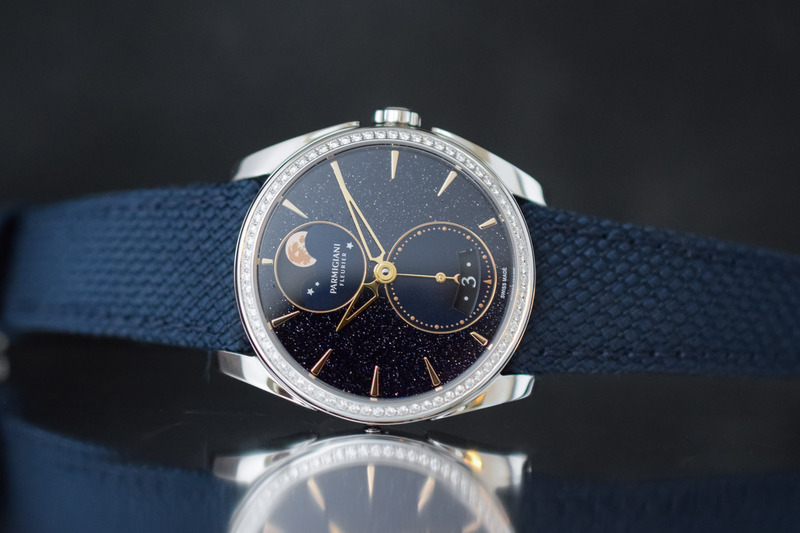 Harmoniously balanced beneath the moon phase subsidiary dial is another sub-dial at 6 o’clock that offers the seconds indication, as well as the date in aperture format – a classic from the brand. The hands, markers and accents of the dial are all in 18k rose gold, which is a wonderful complement to the 33.7mm stainless steel case. The case features the brand’s signature drop-shaped lugs. For a final shimmer that ensures eye-catching beauty, the case is set with 72 diamonds weighing 0.51 carats. With so much beauty on the outside, the Parmigiani Fleurier Tonda Métropolitaine Sélène Galaxy is naturally equally as lovely on the inside. 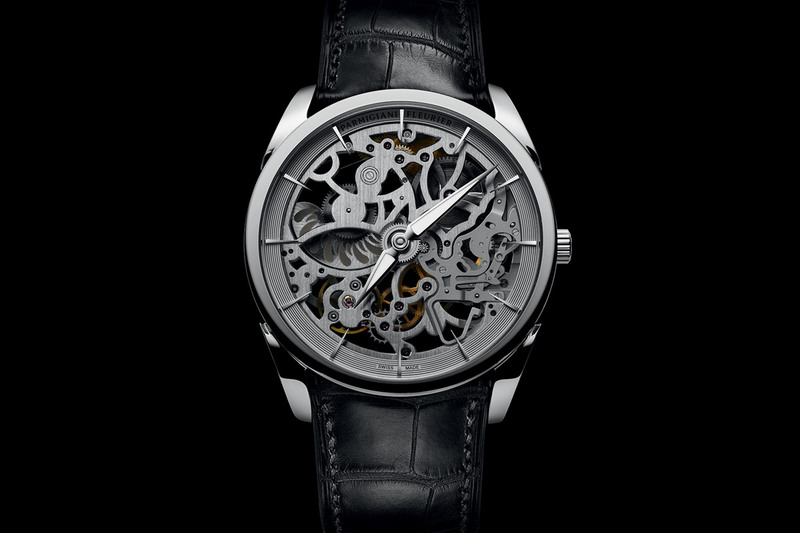 The 205-part Calibre PF318 automatic-winding mechanical movement powers the watch. The movement beats at 28,800 vibrations per hour and, thanks to two series-coupled barrels, offers 50 hours of power reserve. This is surprising for a women’s watch of such discreet dimensions. The hour wheel sets the moon phase mechanism into play so that, essentially, once every 24 hours, a special hour wheel gear turns the lunar phase disk using a flexible blade that is in the centre of the wheel. The complexity of the movement, with its fine hand finishing, can be viewed via a sapphire caseback with anti-reflective treatment. The watch is finished with a blue braided fabric strap with pin buckle and is water-resistant to 30 meters. I, for one, would not take this beauty into the sea with me. Instead, I think it is the perfect daytime watch for the woman who wants to make a statement about her love of fine looks and great mechanics. It transitions beautifully to nighttime thanks to the stunning galaxy theme – which also makes it a romantic conversation starter. Easily one of the best things about this watch is its price. 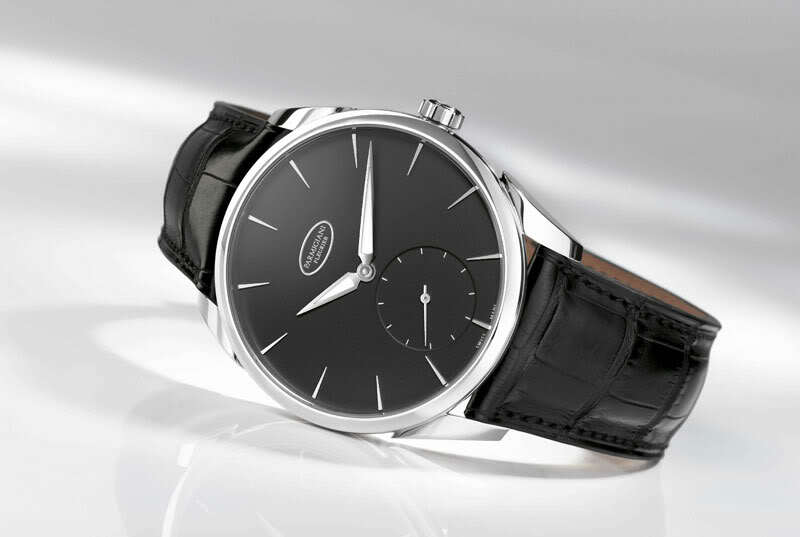 Because it is crafted in stainless steel, it is remarkably attainable at CHF 15,900. 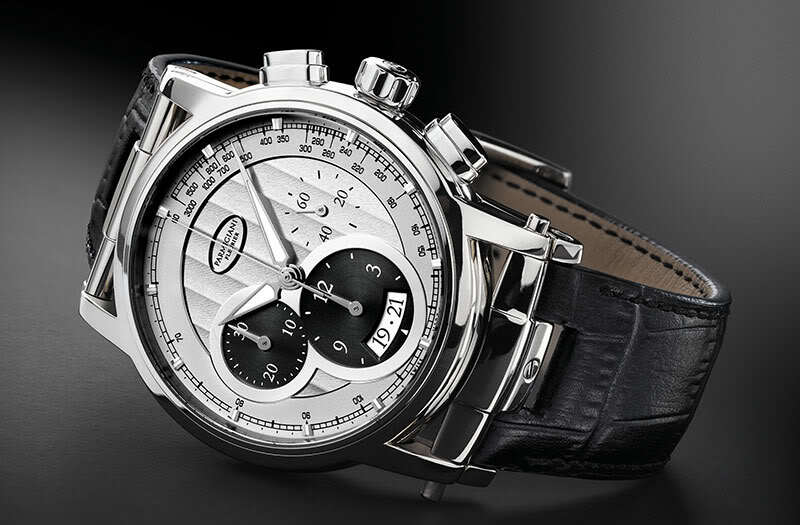 More details at www.parmigiani.com. This article has been written by Roberta Naas, founder of A Timely Perspective; and author of six books on watches. Very impressed with this lovely piece, particularly the wonderful hands and amazing dial. I don’t find it “ultra feminine” however. Without the diamonds, I would wear this watch very comfortably, especially since I don’t like the trend of ever increasing diameters in modern horology today. The dial and hands truly are beautiful and without diamonds it could be unisex. I personally don’t like a small watch so 33mm wouldn’t work for me — but if it was 38mmI could definitely wear this timepiece ..